ONE OF THE KEY EFFECTS OF AGEING IN THE FACE IS A LOSS OF VOLUME DUE TO PROGRESSIVE ATROPHY OF THE FACIAL FAT PLANES. Age-related loss of volume results in a gaunt and hollow appearance that can make the face look tired and exhausted. 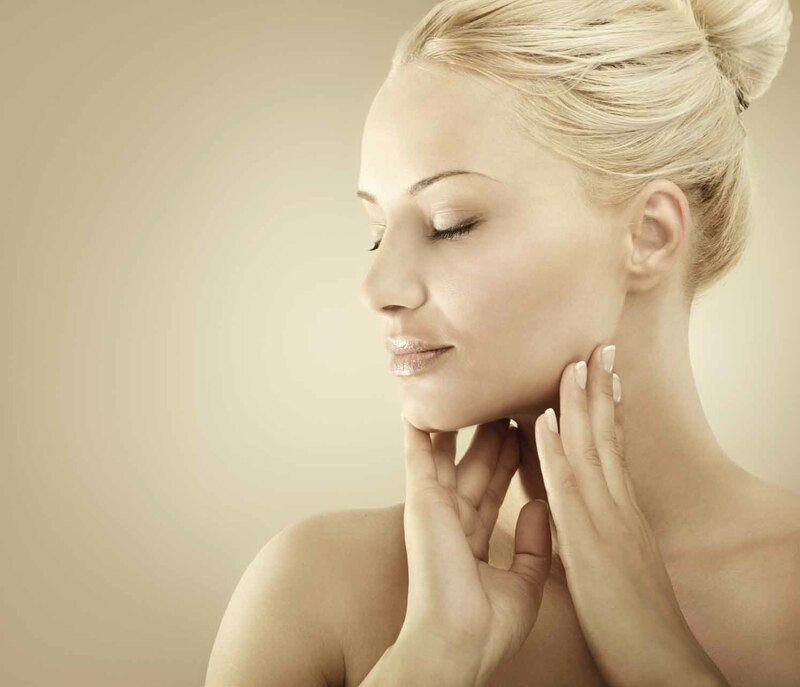 Lifting techniques can be very effective at removing excess skin, but they do not address volume deficiency, which is a hallmark of a youthful looking face. Fat transfer, also known as 'liposculpture' or, 'stem cell transfer' has become very popular in recent years. The advanced, improved techniques now allow for a much greater survival of fat tissue. approach. The stem cell injections have also been shown to offer significant benefits in terms of improvements in skin quality, which is an additional advantage. A fat transfer is also an effective tool in reconstructive surgery to the eye socket, where volume has been lost after the removal of an eye or other diseases. Mr. Ezra uses specialised equipment and techniques for fat collection to provide safe and reliable augmentation to the face and particularly the under-eye areas. Depending on the needs of the patient, he uses the ‘micro-fat’ technique and ‘nano-fat’ techniques to improve results. As we age, our cheeks lose volume and begin to sag, leaving behind a sunken or hollow appearance. Fat transfer treatment is used to reverse these normal effects of ageing, by transferring fat from the thighs or stomach and then re-injecting it into the face. In some patients, fat transfer can significantly improve the results of blepharoplasty surgery as lower lid bags are often associate with central facial volume loss and wasting of the temples. All of these areas can be treated with fat transfer. In addition to boosting the outcomes of blepharoplasty, This is can be an alternative procedure to a traditional face lift, but works to restore lost volume, smooth out wrinkles and improve the skin’s quality, giving you a more youthful, rejuvenated appearance. Mr Daniel Ezra uses the latest, most advanced techniques to transfer fat to the face, utilising your own unwanted fat tissues from the donor area - either the abdomen or thigh areas, using a form of limited liposuction which aims to cause minimal pain, bruising or swelling. The fat containing fluid is then purified to extract the mesenchymal stem cells only and these are relocated to strategic areas of the face in order to restore volume to the cheeks, brows, lips and temples, whilst at the same time filling hollows around the eyes and mouth. It is a minimally invasive procedure carried and can be performed under local anaesthetic, taking up to 90 minutes. Results can be seen instantly, but the full effect is normally noticeable after the initial bruising and swelling has subsided (1-2 weeks). You should arrange for a friend or relative to pick you up from the clinic after your fat transfer procedure, since you might not be safe to drive when still recovering from the effects of the anaesthetic. Bruising and swelling is normal for the first few days, but advancements in how the technique is carried out means that this is normally minimal. You can help reduce any swelling by applying an ice pack to the affected areas. Make-up can be applied gently to help cover up the bruises. It is also normal to also feel initial numbness to the area where the incisions were made and the fat was transferred. Small scars of 1-2mm may also be visible, but these should fade with time. You should avoid strenuous exercise until the face has fully recovered. Your doctor can advise you on when this is, but it may be up to two weeks. You can normally return to work after a couple of days. It is imperative that you follow all aftercare advice thoroughly so that you can have a speedy and successful recovery. A follow-up consultation will be arranged so that your doctor can check that you are healing well. Fat transfer to the face is a long-term solution, but it may not be permanent, which means some patients may require repeat procedure at a later date in order to maintain their youthful appearance. In most cases, though, the treatment will last for several years. This is a safer option as the doctor will use your own fat cells, which will still remain viable after they have been extracted from the chosen areas, meaning here is a very low risk of infection or rejection from the body – a complication which sometimes arises in invasive techniques or those using implants. It is minimally invasive and it will be carried out under local anaesthetic instead of general anaesthetic. There are no long hospital stays and most patients will be able to go home soon after they have undergone the procedure. Natural looking results, using one’s own fat tissues. Minimal pain, irritation or scarring. A return to normal activities in just a few days. Youthful, fresh appearance for years to come. Should I undergo fat transfer? Whether you have been recommended for this procedure to correct a medical issue, such as reconstructive surgery to the eye socket or following an eye-related disease, or for purely cosmetic reasons, there are several reasons as to why you might want to undergo fat transfer. Mr Ezra will discuss the procedure with you during an initial consultation, including the risks involved and specific post-procedure instructions. Depending on your personal circumstances, he will be able to determine whether you are a suitable candidate for a fat transfer, or he may recommend other types of treatment In many cases, a fat transer procedure is combined with other facial and eye procedures, particularly when undergoing blepharoplasty. Mr Ezra is happy discuss all your concerns in order to help you achieve your desired look.